According to the National Oceanic and Atmospheric Administration, commercial and recreational fishing generate nearly $200 billion in revenue and directly and indirectly created 1.7 million jobs in 2011. Commercial fisheries need reliable equipment to maximize revenue. Most companies are focusing on many new technologies to increase profitability, but companies can eliminate unnecessary downtime and ramp up profitability if they use reliable hydraulics in their operations. Perfection Hydraulics employs over 80 individuals and our expert technicians have well over a decade of experience on average. The fragmented nature of the commercial fishing industry limits affordable competitive advantages that achieve mass adoption across the industry. Perfection wants to revolutionize expectations about the longevity and quality of all industrial hydraulics. We are the hydraulics experts. 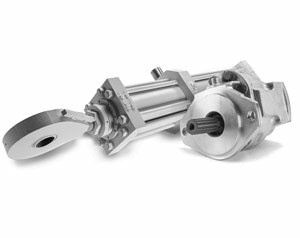 We custom-manufacture aftermarket hydraulic pumps that can be used in commercial fishing operations.